OSAKA | The DORM Hostel Osaka: Library or Hostel? Alighting from Shinsaibashi subway station, my Google map fooled me by offering a wrong direction. I rebooted the app and started looking for my next accommodation. 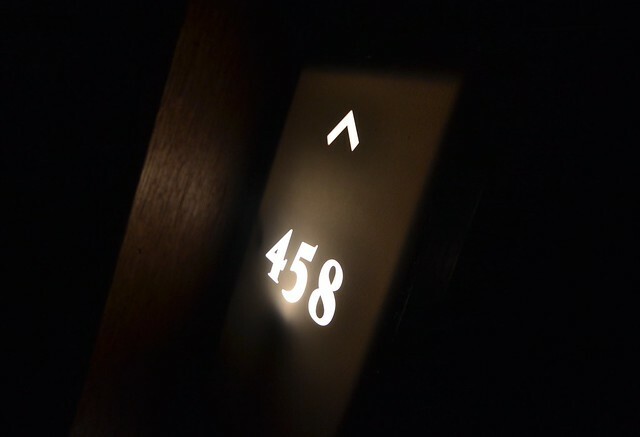 When I reached the pinned location, I searched for the hostel sign, The DORM Hostel Osaka, second floor. The DORM Hostel Osaka, 2nd floor. Staff asked me to fill in the form and mentioned that check-in time is 4PM. I just came from Kyoto, had a short drop at Nara and lounging would definitely the first thing I would love to do. They offered the lounge and told about the free coffee and tea available at the pantry. When I heard the word coffee, I instantly entered the shared area. And I was stunned, not for the free coffee, but for the massive bookshelves that walled the common lounge. Extensive wooden shelves contain more than 2000 books of different languages, kinds, and genres. Books! 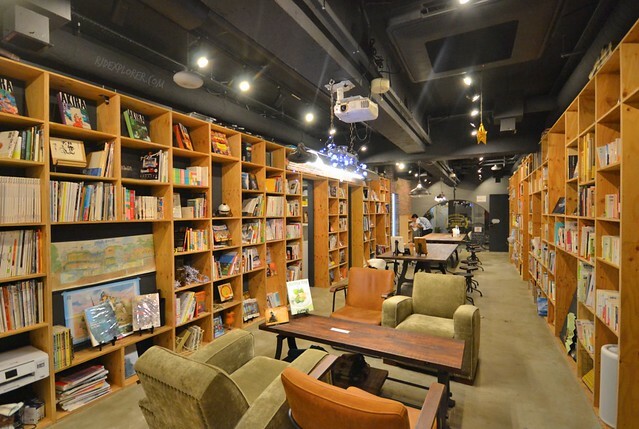 Tons of books at The DORM Hostel Osaka’s common lounge. Checking out the pantry, figuring out that coffee provided are all UCC brand made me smile that wide I didn’t track where it reached. Six varieties of tea, hot and iced coffee, vanilla, hazelnut, and caramel syrups. I could stay at the pantry all day! Enough of it, I just got an iced coffee and worked on some stuff on the lounge. Before I finished writing a blog, a staff approached me and told me about my bed being ready. Overflowing coffee and tea available for free. They were fully booked during my stay and I regretfully got an upper bunk. Scaling the bed up and down especially if you forgot something in your backpack is always a pet-peeve for me. Well, I don’t have a choice. I still had astounding sleeps by the way. Thanks to their sleeping facilities. Shared dormitories and capsule beds. What’s nice on their capsule technology is that the number on the capsule beds lights up when someone is in the bunk. This serves as a heads up to everyone to move and talk softly to avoid disturbing the snooze of other travelers. Speaking of beds, guests have the luxury of a thick comforter, fluffy pillow, and quality linens. Small safe, two power outlets, and own bed light add as bed facilities. On the side of the main dormitory is a long table that guests can use if ever there’s full occupancy of the main lounge. The DORM Hostel Osaka’s capsule room. Light is on. Someone is having a snooze! 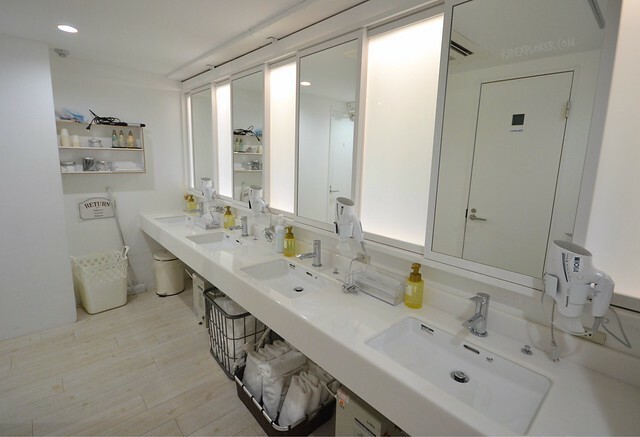 Towel is not provided for free but can be rented for JPY100. 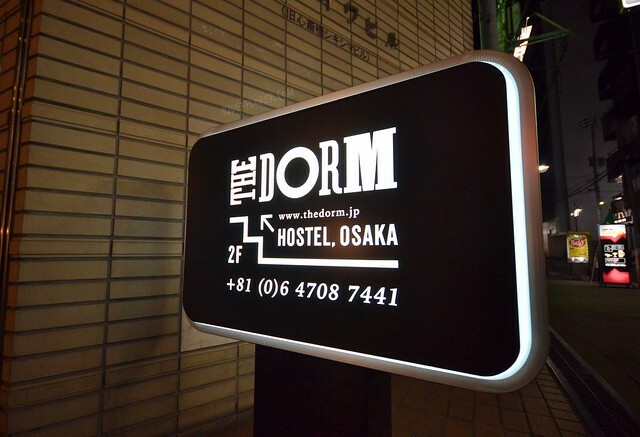 The DORM Hostel Osaka can accommodate up to 60 travelers, divided into three dormitory rooms. Lockers have built-in combination lock you can customize to secure your stuff. The space is large enough to accommodate important items but too tight for some bulky backpacks. Each locker also has 2 clothes hanger you can use to dry your towel or other apparel. Toilet and shower areas are on a different section of the floor. 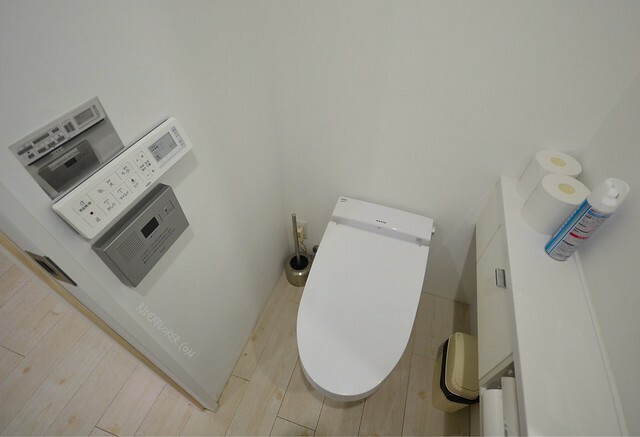 All toilets are sensor-enabled with the toilet cover opens up when you get inside the cubicle. Bidet and flush buttons, as well as a flushing sound, are on a side of the wall. A tiny sink for hand washing is available in every restroom. 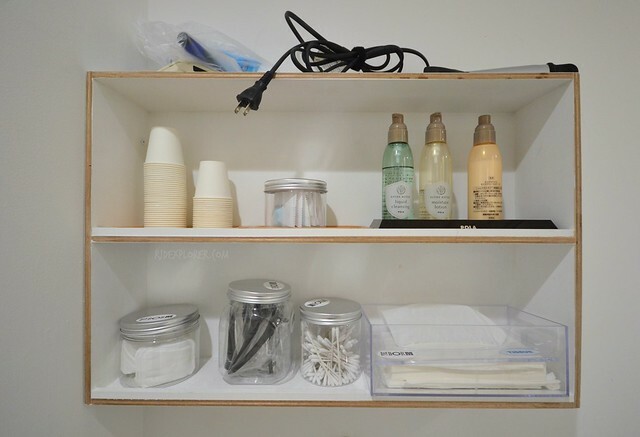 In addition for the complimentary shampoo, body wash, and conditioner, there’s a rack near the mirrors where you can find cotton buds, razor, moisturizer and body lotions, and others. The lounge has two elongated tables aside from the couches near the two Mac computers. At night, the lounge transitions into a movie house with a projector screen loaded on the rear wall of the common room. Power outlets are provided on the lounge tables so people who want to work can still do their to-do-list. Laundry facilities are outside the main hall of the hostel. 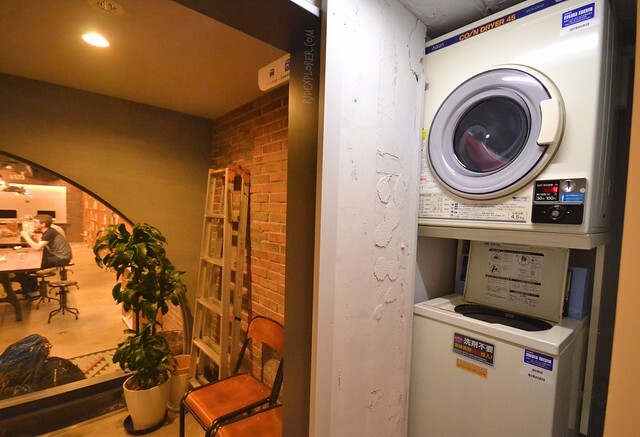 They have a single laundry machine and a dryer above it. The JPY300 wash rate already includes the detergent while JPY100 for every 30 minutes for the dryer. If it’s too much for your budget but not on a rush, kindly approach the crew to borrow extra clothes hanger to air dry your clothes. 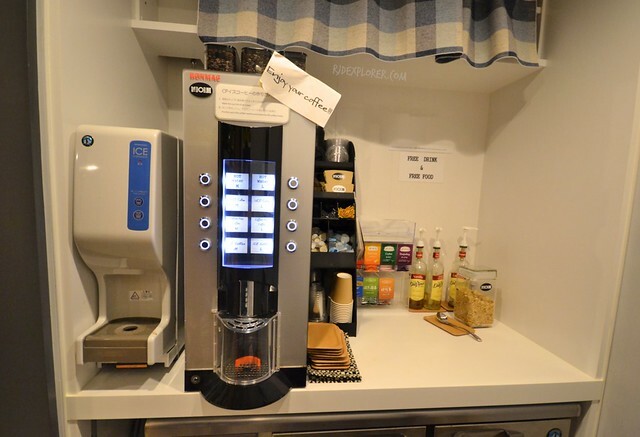 Apart from the overflowing coffee that I really enjoyed, The DORM Hostel Osaka’s geeky ambience makes it a one-of-kind place to stay in Osaka. 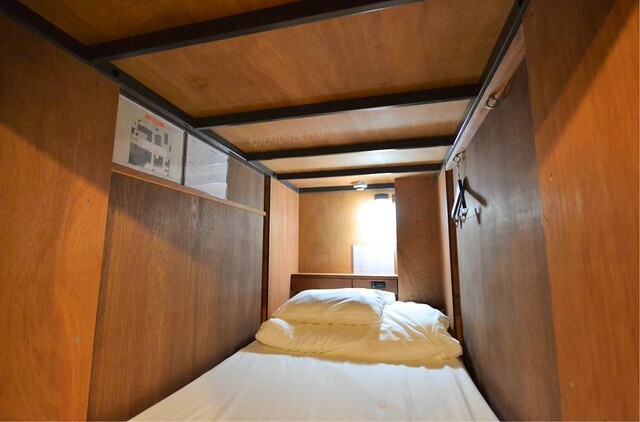 I’ve heard that several hostels in Tokyo already offer this type of accommodation but still rarely found in Osaka. 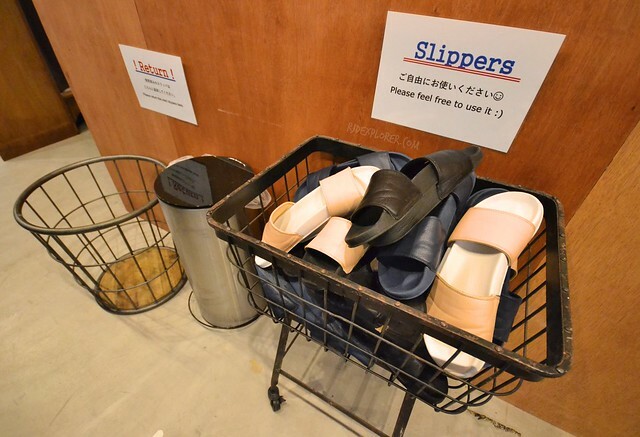 To top all these perks from The DORM Hostel Osaka, it’s also great to find that the hostel is just few hundred meters from Dotonbori and Shinsaibaishi, famous food and shopping districts in Osaka. I’d love to stay here! Because books! Hahaha! Looking forward to reading about the rest of your Japan trip.